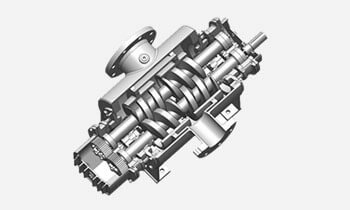 It does not damage the products due to the principle by which the helical rotor spins inside the double helix elastomer stator. 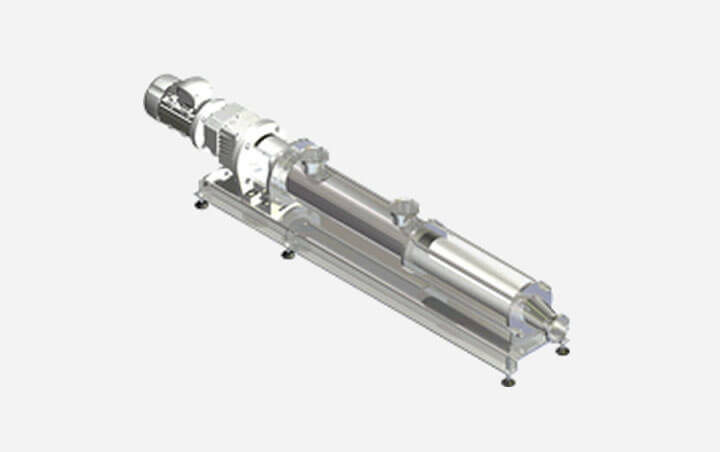 The fluid progresses from cavity to cavity without beating, emulsifying or damage. 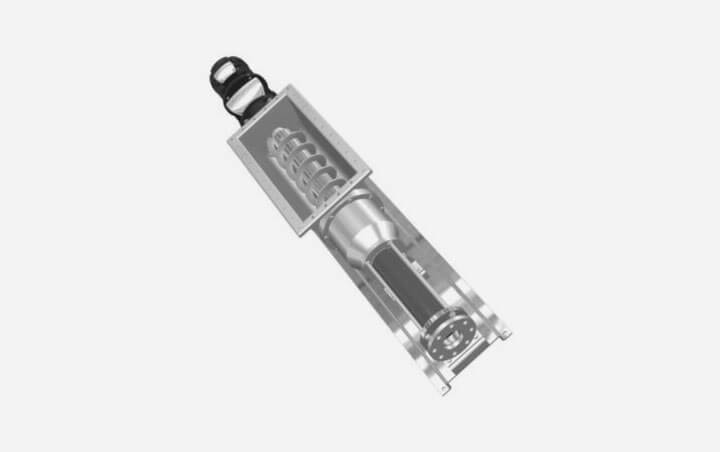 Practically no pulsation or noise created either. 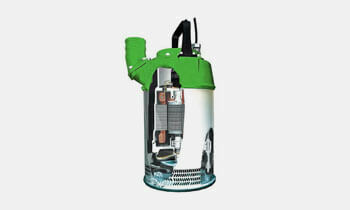 Self-priming even in vacuum installations. 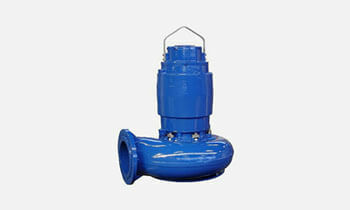 No foot valves required. 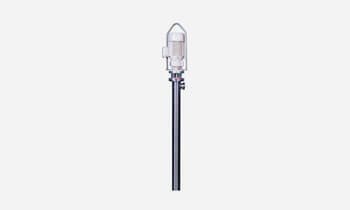 The total isolation of the product avoids any type of contamination. 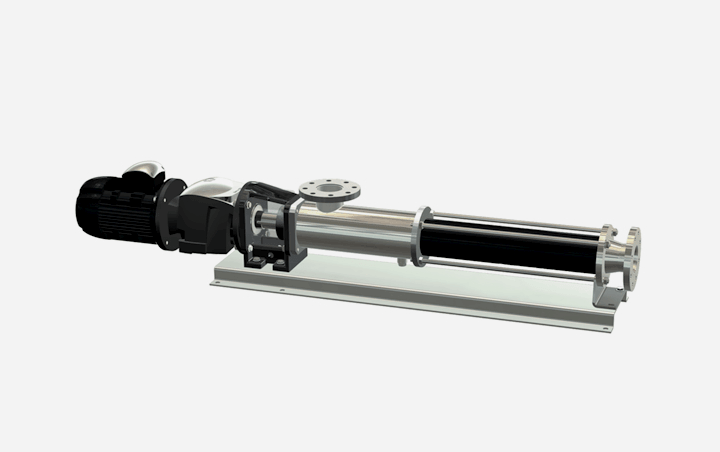 Therefore it is the ideal technology for transferring hazardous or high hygienic standards products. 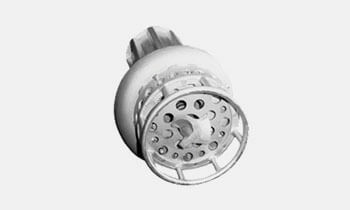 Low product circulation speed inside suction chamber and stator. The parts wear is directly proportional to this speed. 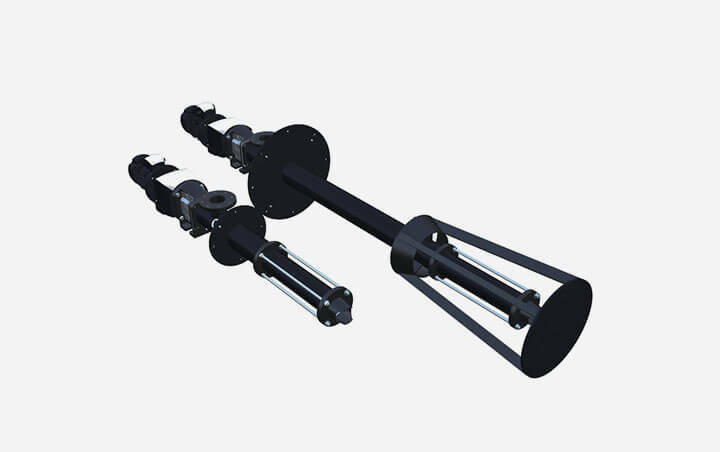 Flow is proportional to pump revolutions. 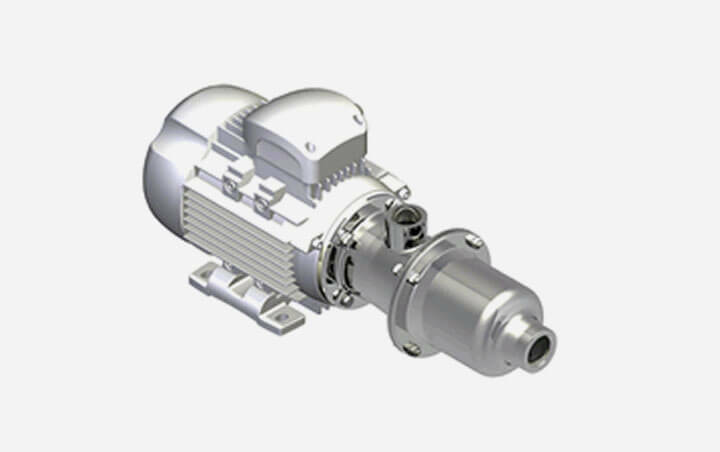 A motor, driven by a gear reducer or a hand-variator, can directly drive it. 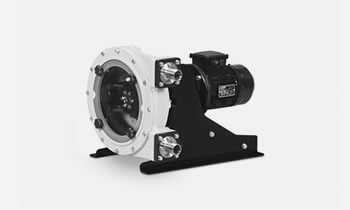 A frequency converter with or without motor fan cooling can be used to achieve a better flow regulation. 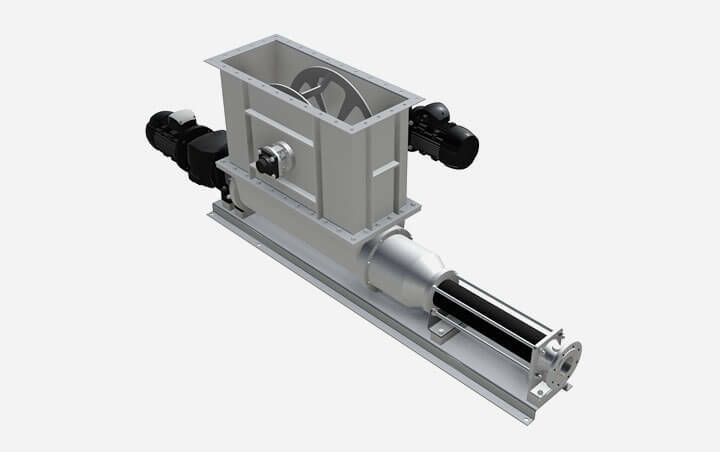 Helical Pumps, also known as eccentric screw pumps, are used to dose and pump medium-high viscosity products, including non-Newtonians, generally non homogeneous containing diluted gases, solid particles and/or fibres which cannot be emulsified or forming foam when shaken. 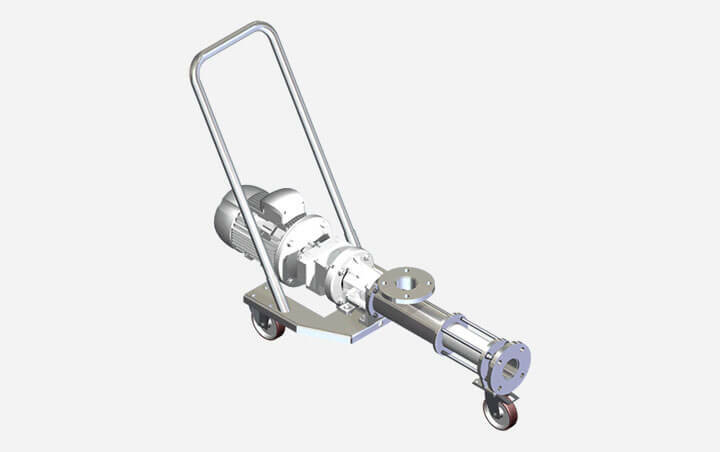 It is a progressive cavity or displacement pump, which makes it different to the so-called centrifugal pumps because it transfers the product continuously, without shaking or beating. 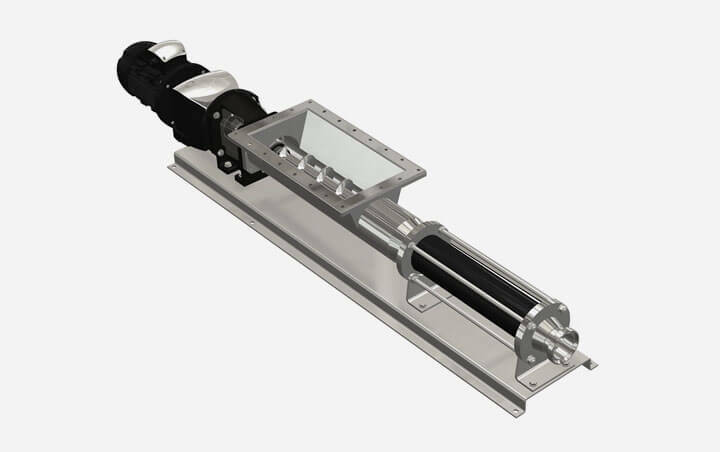 This pump uses an eccentric metallic rotor that moves gently inside a stator normally made of rubber letting the product flow between the cavities of the rotor and the stator. 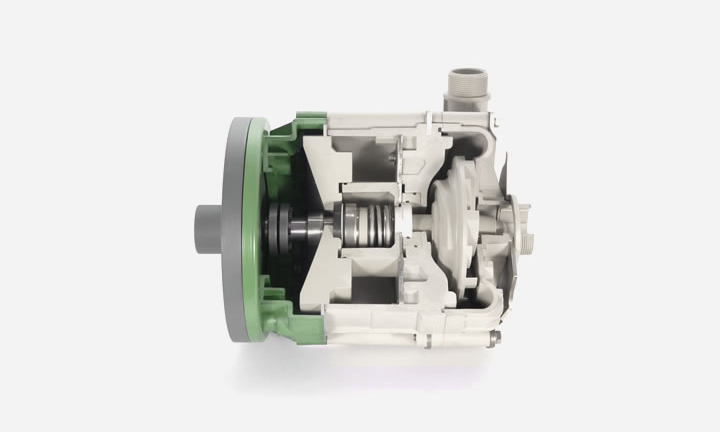 The rotor, which spins inside the stator, is driven to create a roto-transactional hypocycloidal motion. 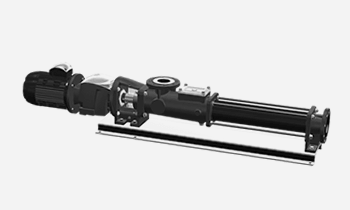 The coupling of these two elements creates a closing line throughout the profile, which gives the pump a high suction capacity. 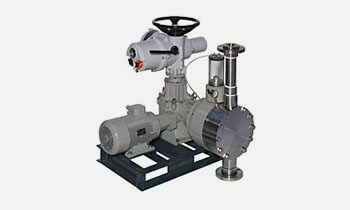 Without the use of valves, the pump gives a uniform flow proportional to revolutions. 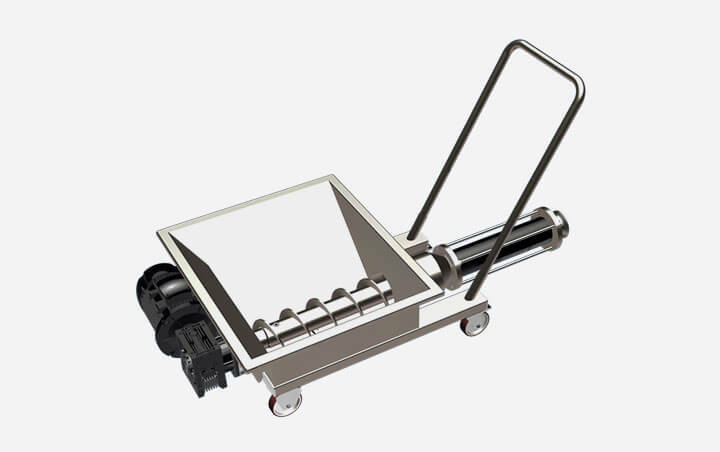 Thanks to this technology, a Helical Pump displaces the product, making it possible to pump whole fruits without suffering sharp and sudden movements. 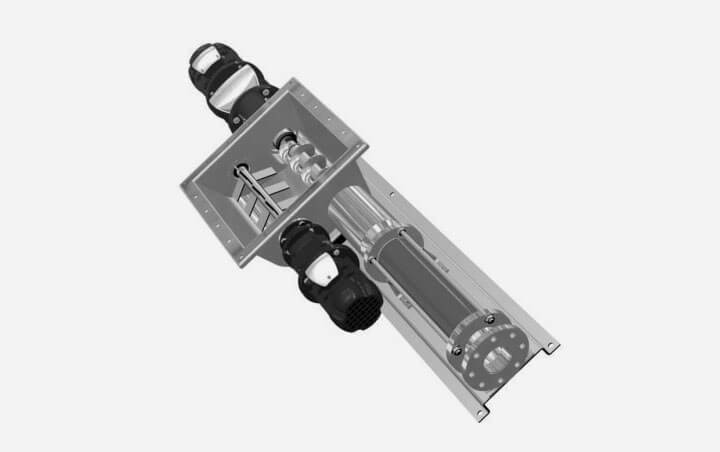 One of the most common applications is to pump sewage in the various stages of a wastewater treatment plant. 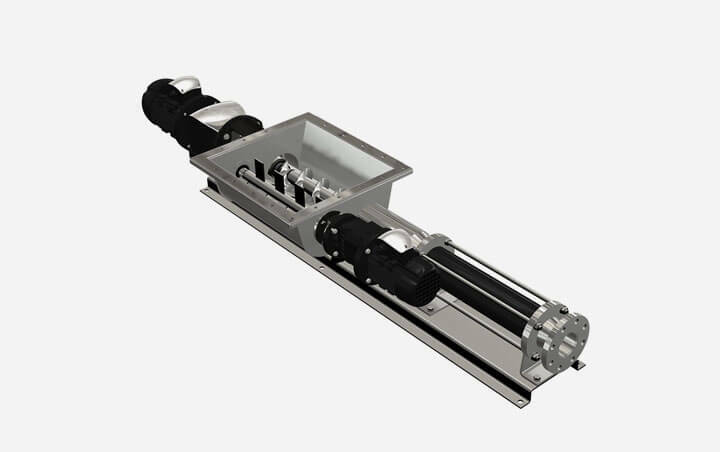 It is able to pump filter press dehydrated sewage with high dryness percentage. 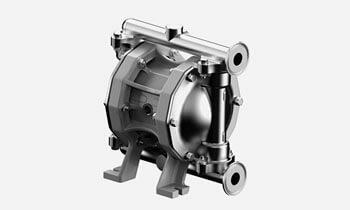 This type of pump is broadly used in the crude oil industry worldwide to pump high viscosity crude oil with a substantial solid content. 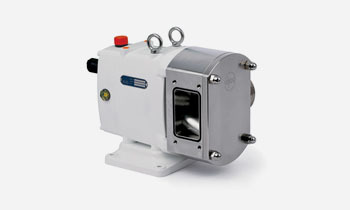 This kind of pump can work under high-pressure conditions up to 48 bars.